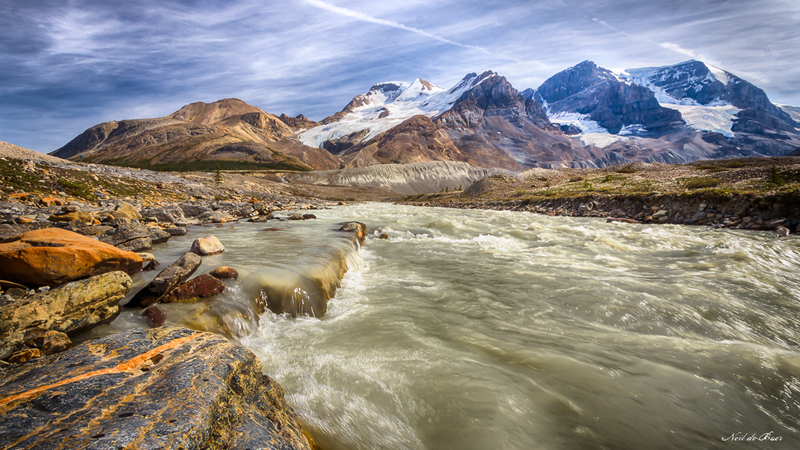 This was taken last August along the Columbia Icefields Parkway in the Canadian Rockies. One thing that surprised me was how windy it was at this location. The temperature difference between the glacier ice and the surrounding area created a wind that made it hard to keep my hat on! 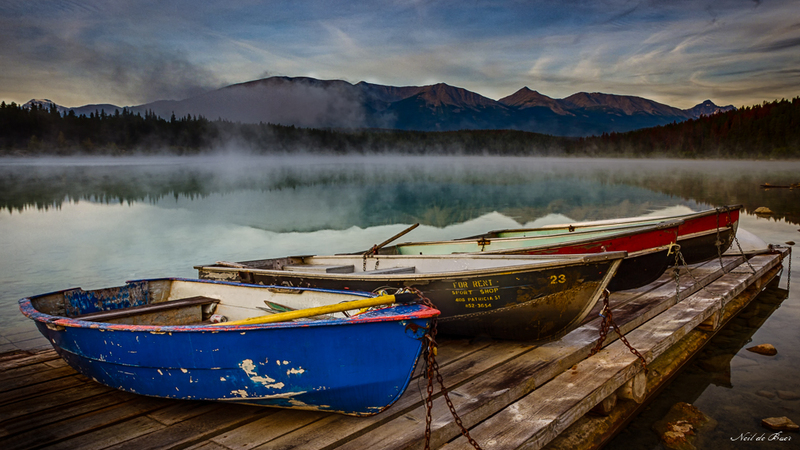 Mirror smooth water, rising mist, mountains in the background, colourful row boats all added up to a magical early morning shot just north of Jasper, Alberta on Patricia Lake. I’m not an early riser but it’s moments like this that make it all worthwhile. Here are a couple of more shots from Alberta. 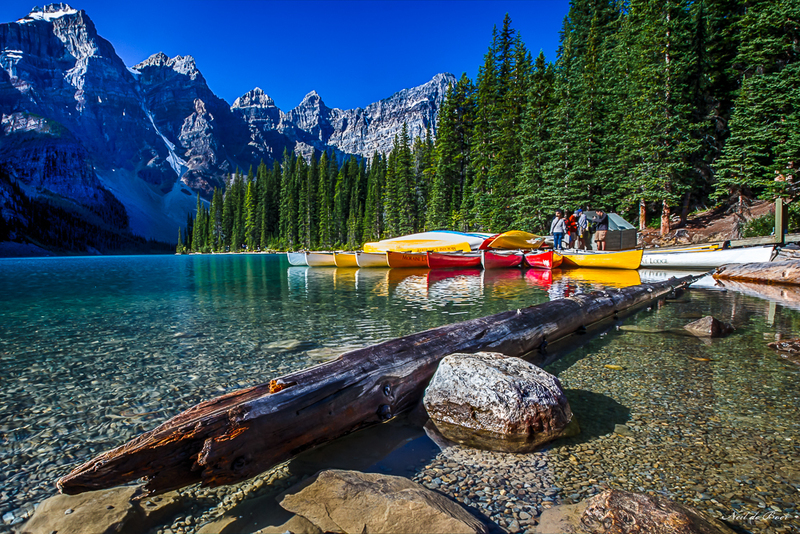 Moraine Lake is stunning in its beauty and grandeur. 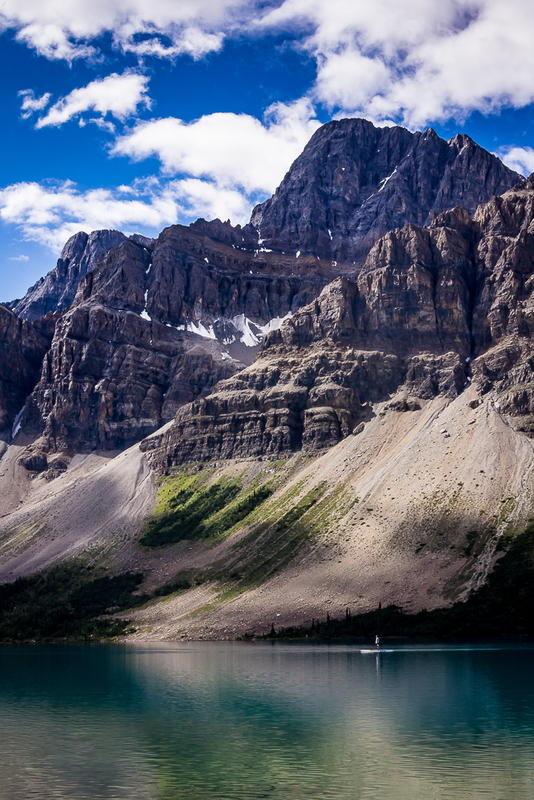 The mountains of Alberta between Banff and Jasper are truly majestic. It is hard to get a sense of that from a picture. I hope that the stand up paddleboarders in these shots give a bit of perspective as to how massive they are. As I set up my tripod to compose this shot I couldn’t help but be in awe of the sense of Peace and Tranquility I felt here. 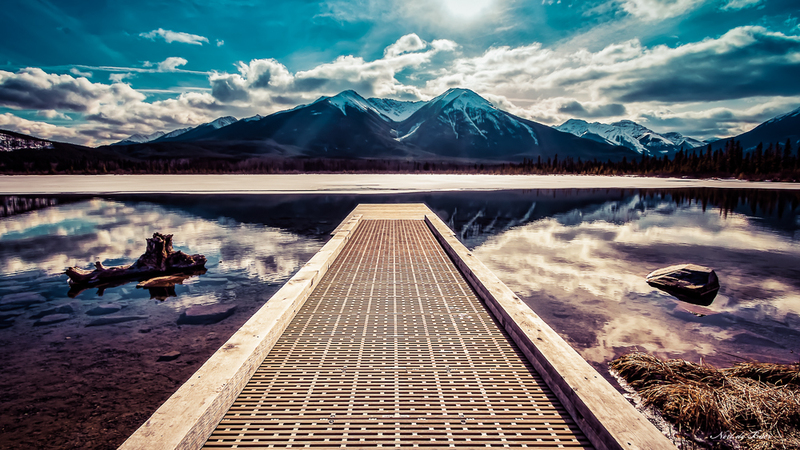 With the mountains reflecting in the water, the Vermilion Lakes in Banff National Park, Alberta Canada is a place where one can stroll along the shore and forget about the stress of everyday life. It was such a treat to be there and attempt to capture at least a portion of that Peace and Tranquility. As we drove from Banff to Canmore Alberta the Rockies continued to provide a breathtaking backdrop. 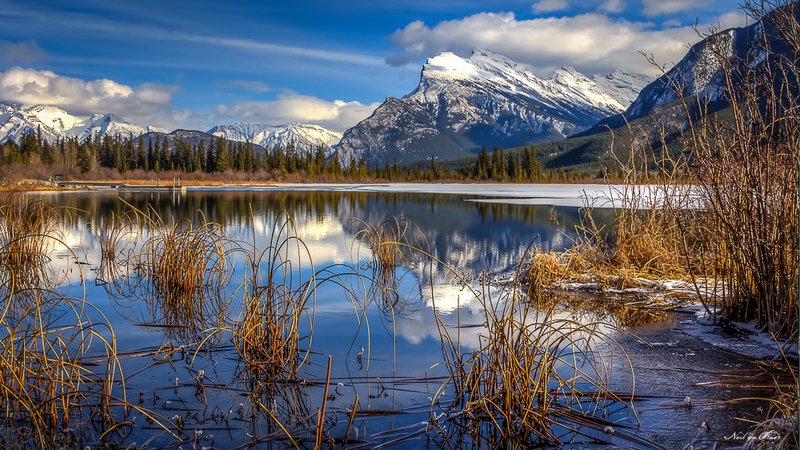 We found this spot with some open water beautifully reflecting the mountains. We could not have asked for a more beautiful day with temperatures above freezing and a wonderful mix of sun and clouds in the sky. 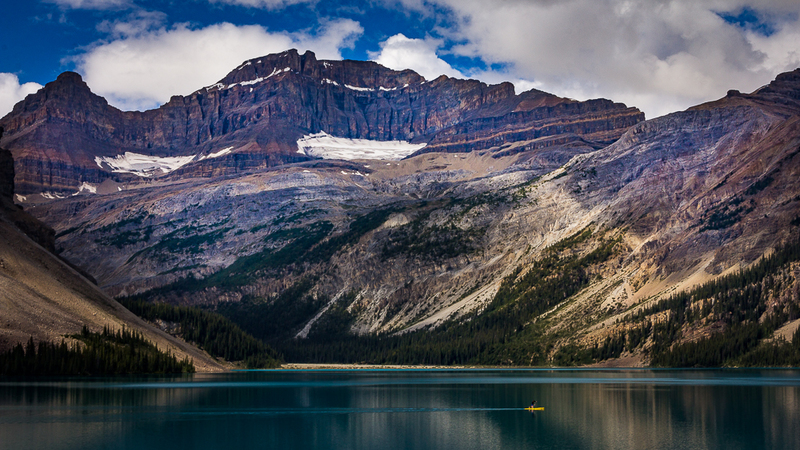 Having only seen Lake Louise in pictures, I didn’t know what to expect as we pulled into the parking lot of Lake Louise Alberta. Most of the pictures I recalled seeing were taken in the summer of the aqua green lake at the foot of these majestic mountains. Seeing it in the winter on a beautiful sunny day was stunning. Walking out onto the ice provided a view of the mountains you could only get from a boat in the summer. 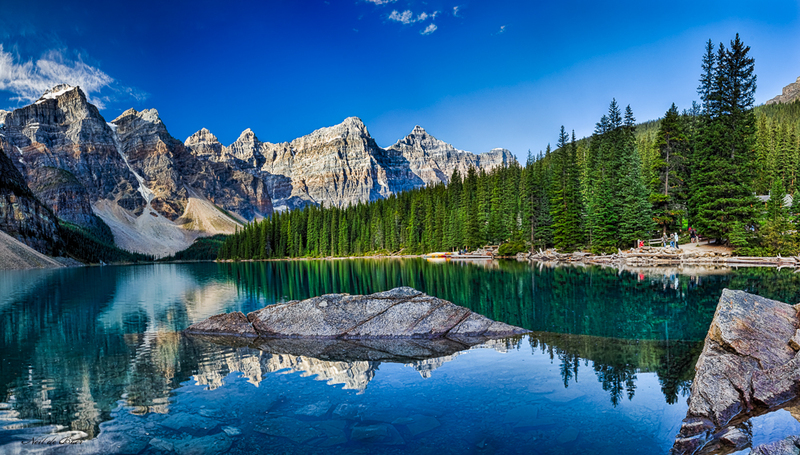 This shoot is a panorama made up of 4 photos stitched together in Photoshop.